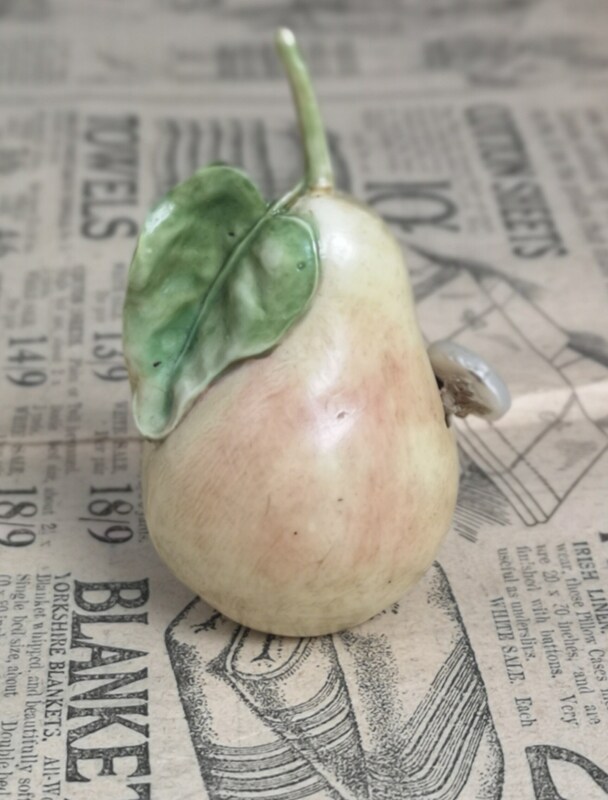 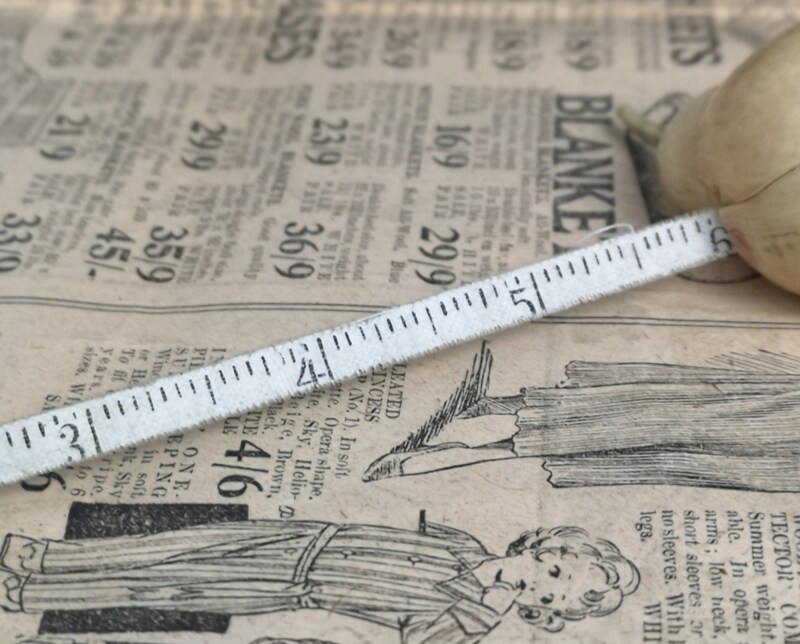 A lovely early Edwardian figural celluloid tape measure modelled as a pear. 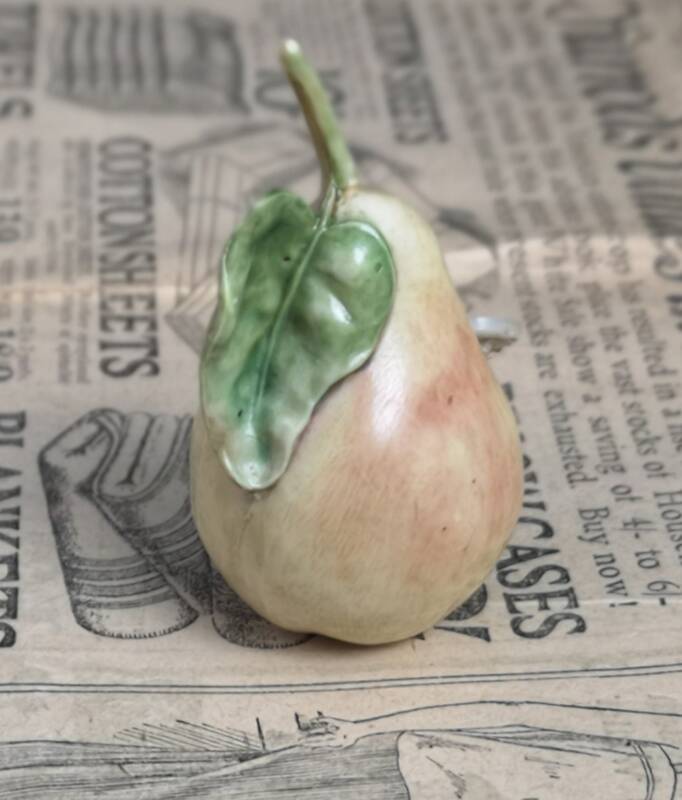 It has a very realistic feel to it and is delicately shaded and coloured to give a lifelike look. 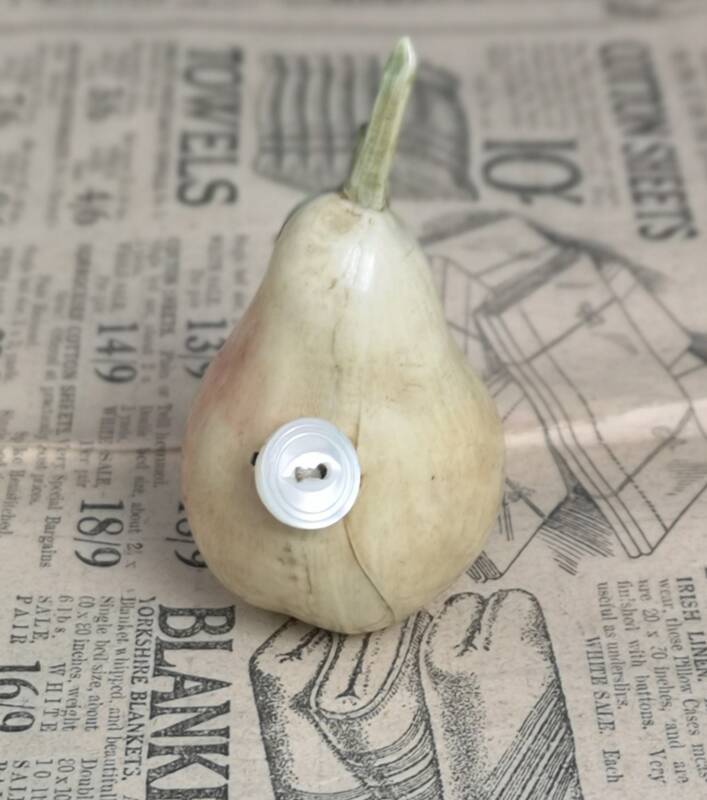 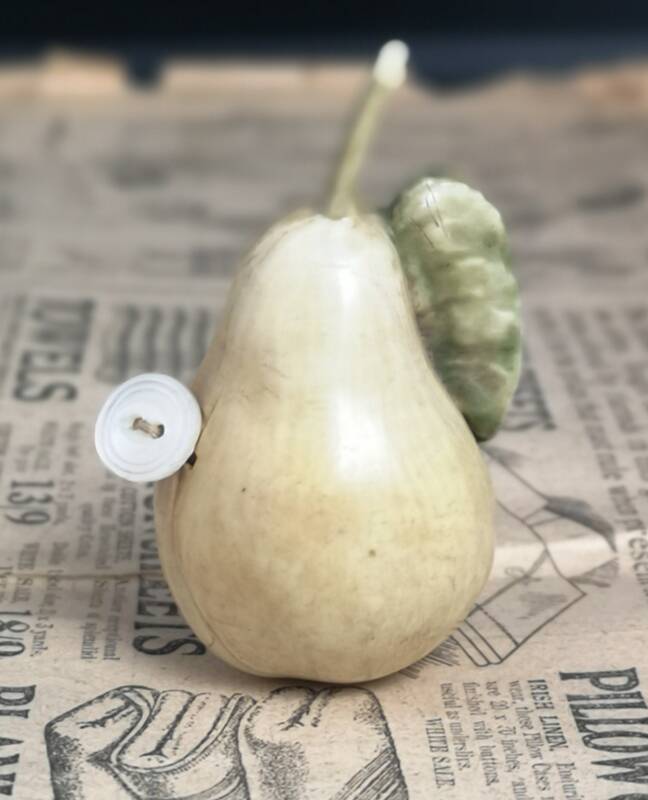 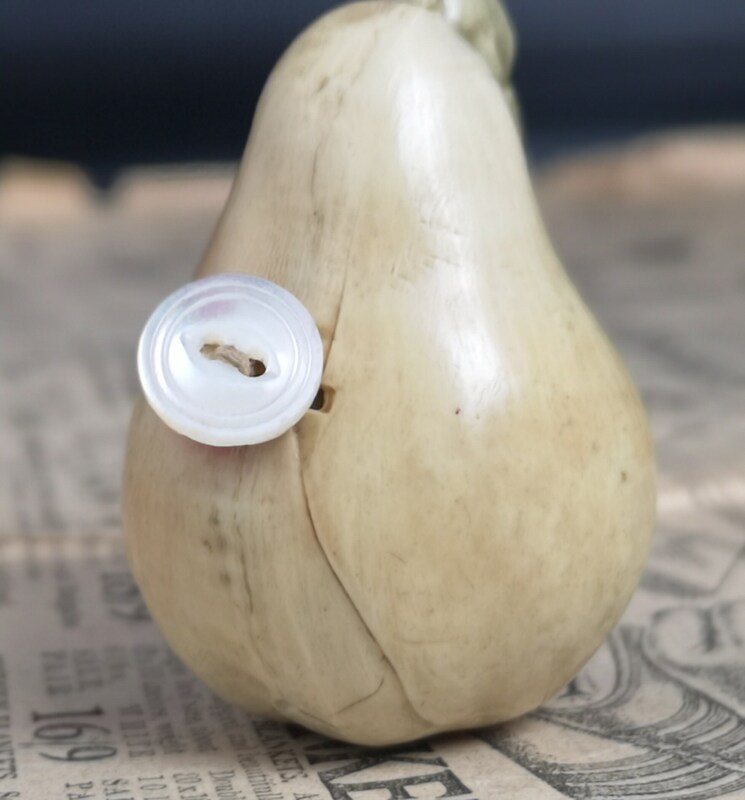 The tape is made from burlap and is on a sprung wind mechanism so snaps back, there is a small mother of pearl button at the end to stop the tape dissappearing into the pear. 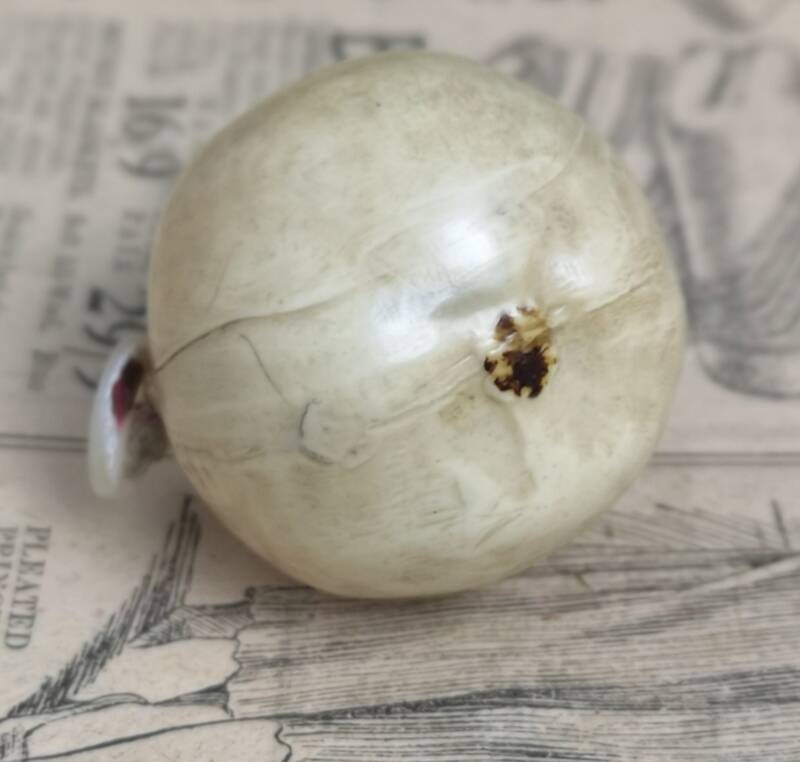 Good condition, there is some thinning of the tape at the end near the button and a small crack running near the opening down the front, see photos.